Theatre can be a gamble so sometimes it’s nice to see something you’re relatively sure about going in. On stage now in Toronto there are three such shows- one a critical favourite (Second City), one from a never-fail company (Coal Mine), and one with the sort of dependable source material that’s impactful no matter what (Fun Home). I personally liked the productions to varying degrees but betting against any of these shows would be simply unwise. The biggest story is certainly Fun Home, the most ambitious production to date from The Musical Stage Company and part of the off-Mirvish series that deserves far more credit than it gets for helping to bridge the divide between the city’s not-for-profit art theatres and its commercial enterprises. The 2015 Tony winner for Best Musical, Fun Home is Jeanine Tesori & Lisa Kron’s adaptation of Alison Bechdel’s autobiographical graphic novel about her closeted father’s suicide juxtaposed with her own sexual awakening. It’s both smart programming and a big get for The Musical Stage Company, a rare hit musical that never made it to town as part of a National Tour. I’m not a huge fan of Tesori’s generally unhummable score but Bechdel’s affecting story is emotionally fool-proof and Kron’s book is absolutely stellar, bringing insightful structure to the complicated non-linear storytelling in the graphic novel. The cold, hard, proscenium CAA theatre is a tragedy of a space for a musical as intimate and fluid as Fun Home (even the Broadway production was staged in a small theatre in the round) but director Robert McQueen battles admirably against the physical limitations of the stage, facilitating seamless transitions and excellent pacing. Though the cast is generally strong, only gold star kid Hannah Levinson (Small Alison) and jacks of many many trades Sara Farb (Medium Alison) and Sabryn Rock (Joan) deliver brilliantly on all counts (“Changing My Major” is undoubtedly the highlight of the production, a number that made half as much of an impact in the Broadway production); the rest of the adult cast feels divided in their stumbles. Cynthia Dale (Helen) and Eric Morin (Roy/Mark/Pete/Bobby), performers who work mostly in musical theatre, handle the deceptively difficult score with ease but their performances are too big for the story, a little too caricature in a musical defined by the rich complexity of its characters. Evan Buliung (Bruce) and Laura Condlln (Alison), on the other hand, are very smartly cast for their acting chops first and foremost. Though both have lovely voices where the score sits quite prettily (particularly in lower keys), they’re straining for their top notes in a way that betrays the fact that these are actors who can sing more than true musical theatre performers. But part of me doesn’t mind that distinction. Despite the score’s sporadic difficulty, Fun Home is an actor’s piece and the lived-in, all-there performances that come from Buliung and Condlln are the foundation on which the production is built. Condlln plays adult Alison without ever leaving the stage, she’s author and narrator and observer and subject all in one. A uniquely empathetic performer, one of Condlln’s great strengths is listening, so this role of the invested observer is a remarkable one to see her perform. Adult Alison doesn’t actually participate in most of the action of Fun Home but the whole piece plays out across Laura Condlln’s face as she listens and laughs and judges and forgives not just her family but all the versions of herself. She doesn’t hit every note with ease but I’d pay anyday for the privilege of watching Laura Condlln listen. 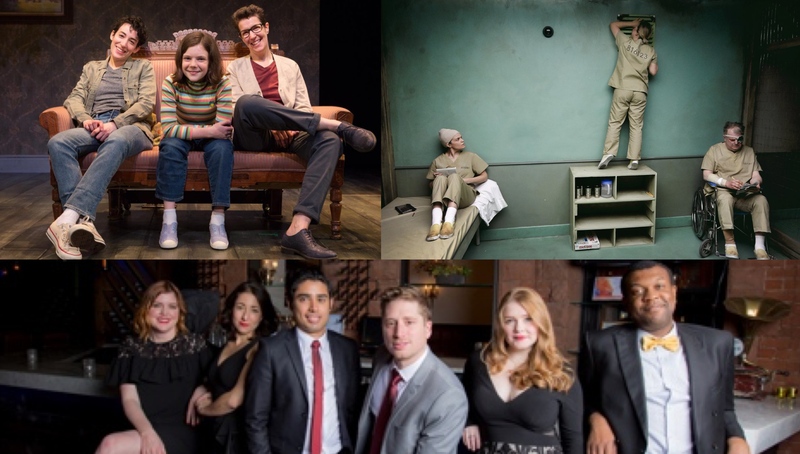 The next best bet in town is the latest from Second City Toronto, a revue called The Best is Yet to Come Undone that Glenn Sumi at NOW labelled “a triumph”. I think he’s overstating it but I also acknowledge that most people are likely to like this show more than I did. To me, this was a matter of decent highs (Chris Wilson as an anthropomorphized old computer, Allana Reoch as a 12-year-old at Weight Watchers, pretty much everything Brandon Hackett does) and very low lows (there were so many “ladies be crazy” sketches that I started to wonder if maybe it was a long-con joke about the jokes we make about women; it wasn’t) but it all washes out to somewhere around “decently charming”. I liked the last revue and loved the two that came before it so this felt disappointing to me but I can close to guarantee the following: you won’t hate it, which seems about right for Second City. Category E at Coal Mine Theatre is the opposite; you might hate it- because it’s super weird and very dark and really deeply unpleasant at times- but you should see it. You should see it because Coal Mine has earned your trust by producing excellent show after excellent show with excellent casts at excellent ticket prices. Even if the play doesn’t sound like your cup of tea (this Belinda Cornish dystopian horror show definitely did not sound like my cup of tea), there is no reason in the world to expect anything less than a great production out of the Coal Mine. Co-Chief Engineers Ted Dykstra and Diana Bentley have fantastic taste in scripts and the refreshing perspective that it doesn’t matter where a play comes from as long as it’s good (this one happens to be Canadian). They attract strong directors (in this case Rae Ellen Bodie, the perfect blend of creative and restrained) and even better actors who know how to work in an intimate space. Now finishing up their fourth season, the company has developed a stable of go-to players who are some of the best onstage anywhere. For a three-hander set in a small cell with little in the way of plot or world context, the cast is everything and here the combination of Bentley with ace returning players Robert Persichini (Superior Donuts) and Vivien Endicott-Douglas (Killer Joe) is incredibly effective. Endicott-Douglas’ naive, manic energy and Persichini’s exhausted grumpy pathos bounce off each other beautifully, foiled by Bentley as a deliciously bizarre creature trying desperately to learn what no one ever bothered to teach them. You might hate it, but god it’s good.